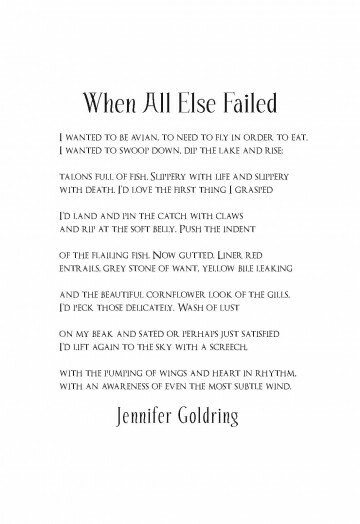 Jennifer Goldring, originally from Arizona, is a writer and photographer based in St. Louis. She holds a BA Degree in economics. Despite her training she has given up on solving the world’s economic problems and now writes poetry, which she finds to be a much more meaningful endeavor. Her poetry can be found in Tar River Poetry, and her photography can be found at www.junipertreestudio.com.